Opening hours: The shops in Malaga are normally open from 10 am to 1.30 pm and from 5 pm to 9 pm on weekdays but there are exceptions. Larger shopping centres and shops stay open all day. Malaga is in a good location for various day trips along the coast, up to the small mountain villages or to one of the larger Andalusian cities. It is approximately a two hours’ drive from Granada, Córdoba or Seville in a hired car or by bus. In Granada, you must not miss the fabulous Moorish palace Alhambra, the Gothic cathedral and the Arab quarters in the Albaicín. In Córdoba, a walk to the old Jewish quarters and La Mezquita is recommended. In Seville, the capital of Andalucia, you should visit the Santa Cruz and Real Alcázar districts at the heart of the city. Along the entire Costa del Sol it is easy to take a bus or train to most cities such as Fuengirola, Torremolinos and Marbella. Here there are lovely beaches, nice bars and restaurants as well as good opportunities for shopping. Tips for families are Tivoli World in Benalmádena, Aqualand in Torremolinos and Selwo in Estepona. In Puerto Banús you can view the gigantic luxury yachts, enjoy designer name shopping and mix with the rich and famous at the chic bars on the sea front. There are also yachts, discothèques, bars and restaurants in Puerto Marina in Benalmádena. Ronda is a picturesque town located on a precipitous limestone cliff. The road leading there from San Pedro de Alcántara on the coast is a dizzy mountain trip. Puerto de Malaga is the port area in Malaga. This place is great for a stroll and maybe a nice lunch in the sun. Here you can find numerous bars and restaurants. If you enjoy the history and splendour of old churches this one is definitely worth a visit. You can find the Iglesia de Los Martires in the city centre and it will most certainly impress you. The Malaga Feria is a week-long event with street parties that starts with a huge fire work display. Here you dance both day and night away. Try a few flamenco moves and get into the fiesta spirit. If you want to get out from the bustling city you can go to Playas de Las Acacias. This quiet beach is great for a relaxing walk along the sea. Here you can also have dinner at a fancy fish restaurant. Alcazaba and Gibralfaro are military forts dating from the period of Arab rule. There is a palace inside the walls with a beautiful garden and spectacular views. The Roman theatre just beneath was built during the first century A.D. and has been restored and renovated after many years of neglect. 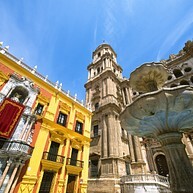 Malaga’s cathedral was built between 1500 and 1700 on the site that was once occupied by the Aljama Mosque. 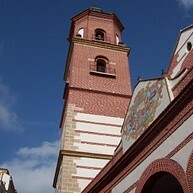 The cathedral features a Renaissance style with a Baroque main façade and décor. The affluent couple Jorge Loring and Amalia Heredia created this fantastic garden around their Hacienda La Concepción in the 19th-century. 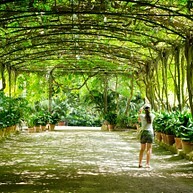 Here you can find 30.000 square meters filled with 500 tropical plants. 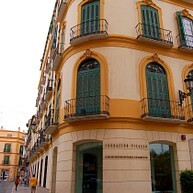 Malaga Contemporary Art Centre is located in the heart of the city and displays modern art. 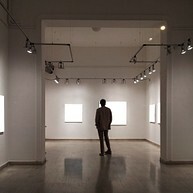 Its aim is to promote visual art from the 20th and 21st century. 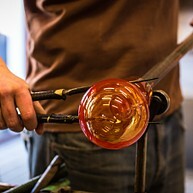 The art centre offers an innovative program with a wide variety of activities and permanent exhibitions. 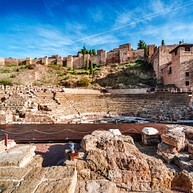 The Roman theatre is located at the foot of the Alcazaba fortress dating back to the first century. The theatre was built in times of Augustus, but it was not until 1951 the Roman theatre was discovered. 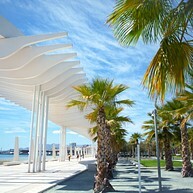 Malaga has kilometres of beautiful sandy beaches to offer the tourist. 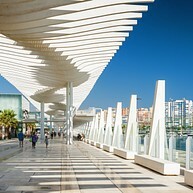 All beaches are situated along the Promenade of Pablo Ruiz Picasso which is lined with restaurants and bars. The most popular beaches are La Malagueta and La Caleta. Both of the beaches provide facilities like showers, toilets, sunbeds and so on. On La Malagueta you will also find a children´s play area. The Alborania Museum was created 1989 with the aim to get more knowledge of the marina life as well as to make the visitors aware of the need to protect the marine environment. There are two main areas: the exhibition/research area and the workshop/classroom area. In the exhibition hall you will find underwater grotto, sharks, giant squids, fishing boat and all the instruments required for navigation and much more. 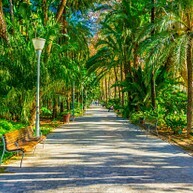 Malaga Park is set between the Alameda Principal and the Paseo de España. In the park you will find beautiful tropical flowering trees, some of them are brought from overseas. This square is located in the centre of Malaga in the modern part of the city. It is one of the city´s most characteristic sites and it is surrounded by elegant buildings, a playful water fountain and few palm trees. 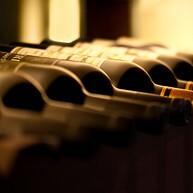 If you like wine then you should head over to the Wine Museum, Museo del Vino. Here you can learn more about the wine from Malaga and its history and culture. Museo del Vino is located in the middle of the historic town. 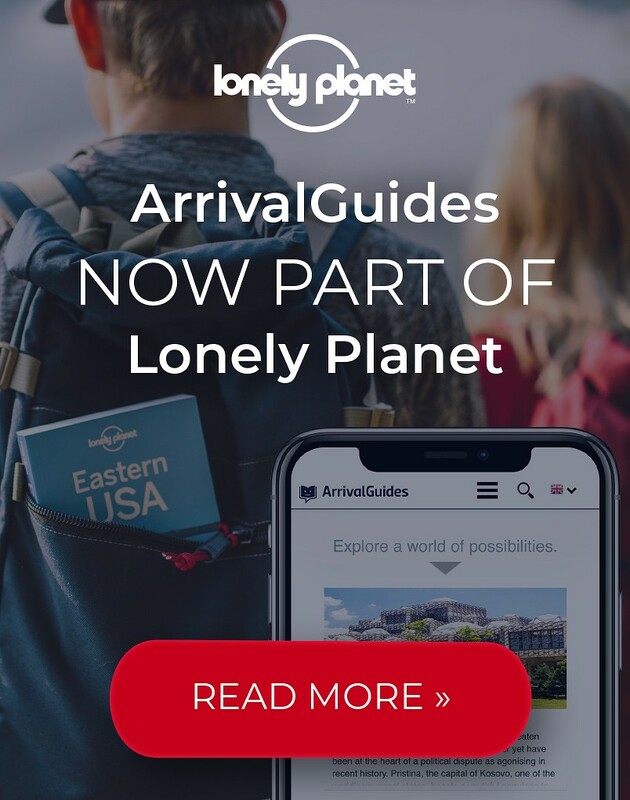 There are also guided tours.